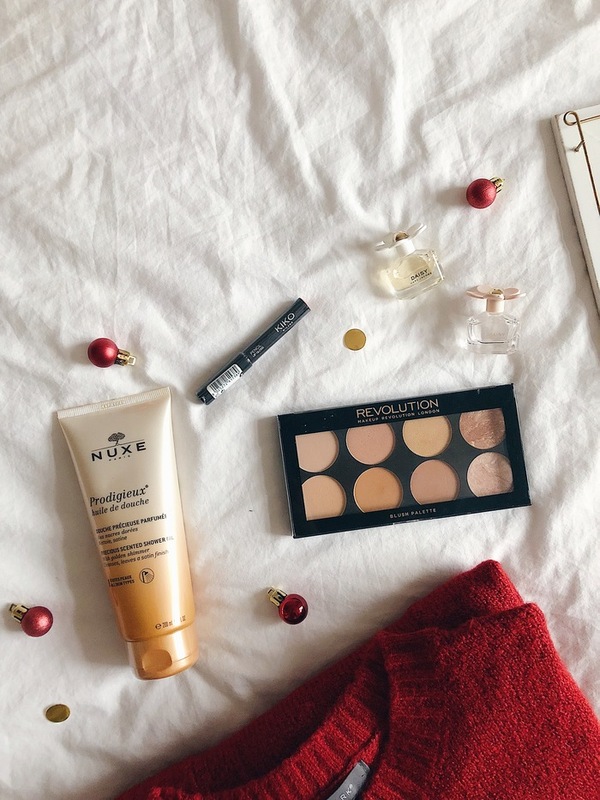 Aaaaand here we have it, the second of my three gift guides this season. If you haven't seen the first one, it's a stocking filler for her guide and I'll link it here. As many of you will know, I am currently a student and so you'll be pleased to hear that all of my gift guides this year are very purse-friendly. No Chloe handbags and Canon DSLR's around these parts. 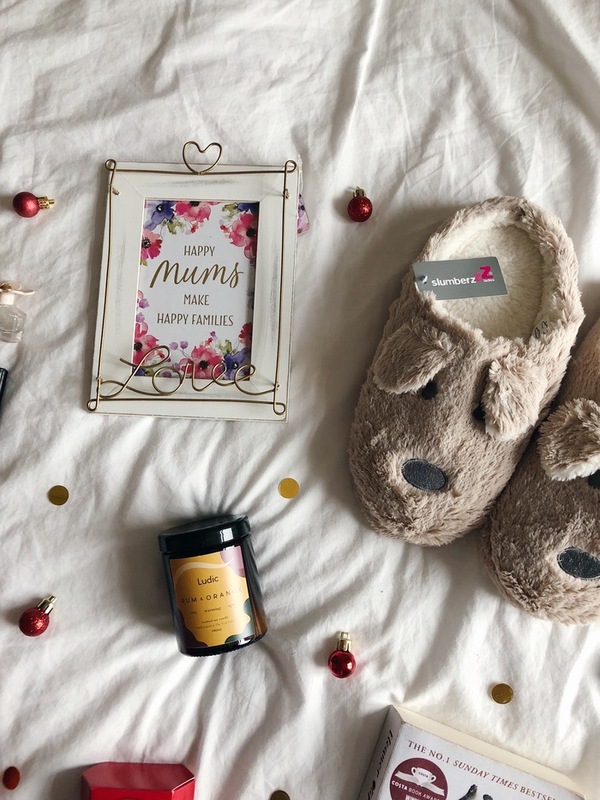 So, with that in mind, let's get straight into my gift guide for Mum's. It feels only right to start this guide off with a few beauty bits. Now, my Mum doesn't ever wear makeup, except for some lipgloss here and there. So, I picked her up a lipgloss stick in Kiko whilst I was shopping in Bath as I know it's something she'll definitely use. It's a gorgeous shade and so easy to apply on the go. Palettes always make a great gift as they are so versatile and there are about 194729 choices. Here, I've chosen to feature a Revolution blush palette as the colours are so so pretty and it costs less than a fiver. What is Christmas without perfume? Do people ever go out and buy themselves a new perfume throughout the year, or does the entire country wait until Christmas to be gifted a new one? These Daisy miniatures smell incredible and work out at £7.50 a bottle - a little luxury. Speaking of luxuries, I loooove Nuxe products and so their shower oil had to make it into this gift guide. At £11 it's not something you'd buy for yourself, Radox on offer for a quid in Tesco is far more likely, which is why it makes a great gift. Clothes are always a go-to gift idea, and at this time of year, is there anything better than receiving a new cosy jumper? The one featured is a jumper dress from Primark and it is so so soft, definitely go and hunt it down in store. Speaking of cosy, how adorable are these slippers*?! They're £7.99 and potentially the cutest things ever. It's a bit of a standing joke in my house that we always get my Mum new slippers every Christmas without fail, and I think these could be the best ones she's had yet. The last item in the cosy section of this gift guide is the Rum and Orange Candle* from Ludic Candles. It literally smells like Christmas. Christmas in a jar. I'm in love and I lowkey want to keep it for myself. All of the candles are eco-friendly and handmade in the New Forest - shop locally my dudes, shop locally. Moving on, I know they're a bit cliche, but a nice photo frame is always a really easy but thoughtful gift. The one featured is from Card Factory and I'm going to fill it with a photo of us from the summer. Books are also a bit of a standard gift, but a nice one nonetheless. The book featured here is that Gail Honeyman novel that everyone and their sister were reading over the summer. I actually really enjoyed it, hence it's spot in this gift guide. I always find buying for my Mum quite difficult but this year I have opted for a nice pandora ring and scarf, which I think makes quite a sweet gift! Obviously can't go wrong with slippers though!